Great Barr Windows appreciates your home has its very own personality, so when it comes to matching this individual style with your new porch design, we spend time with you discussing your tailor made design and made to measure porch. This means we can create the perfect stylish entrance for your home. 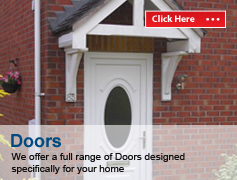 Our expert design and installation team will cover every aspect of your new porch, from building the base brickwork through to fitting the door, windows, decorative panels and roof. We will ensure all new brickwork will match your existing brickwork and complete any UPVC guttering, drainpipes, internal plastering and any electrical work that may be required. 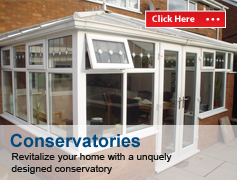 Our porches are manufactured to the highest standards and because all our porch installations use uPVC, the maintenance is next to nothing, just a wipe-clean every so often will no need for repainting. 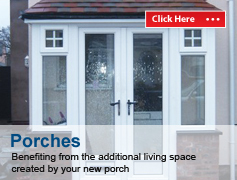 Porches manufactured using uPVC are also extremely energy efficient, so you will also benefit by keeping the drafts out and your energy bills low whilst at the same time benefiting from the additional living space created by your new porch. 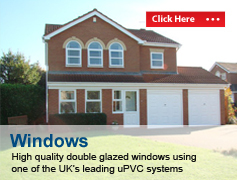 So what are the additional benefits of having a uPVC porch?